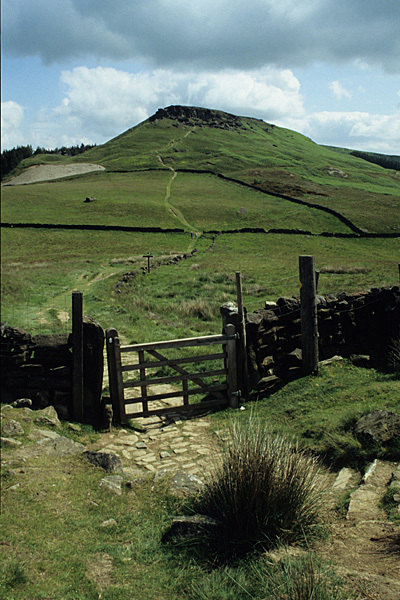 A path rises towards Hasty Bank in the Cleveland Hills, on the edge of the North York Moors. 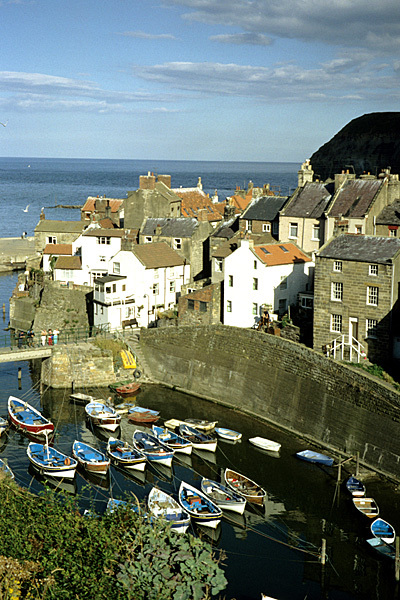 The charming fishing village of Staithes has associations with Captain Cook. 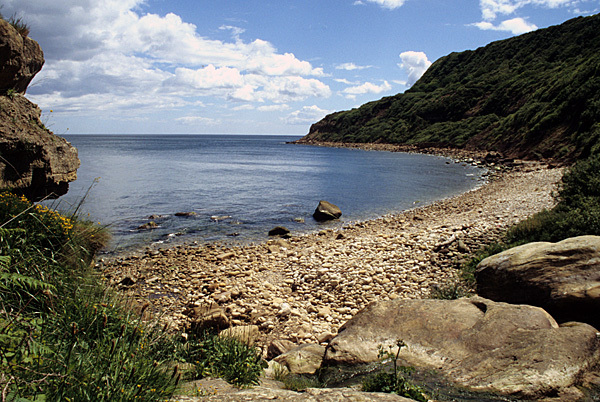 A beach of chunky cobbles on the coast at Hayburn Wyke. The North York Moors National Park contains England's largest expanse of heather moorlands and has long been a popular destination for walkers. Cicerone's original guidebook to the area had gone out of print, so the task was to write and illustrate a completely new guidebook. A month of splendid walking around the North York Moors allowed 50 rich and varied walking routes to be checked. These are spread across seven areas of the National Park, while the classic Lyke Wake Walk is presented as a four-day walk, for those who aren't up to the arduous 24-hour challenge. The total distance covered by all the routes is over 750 kilometres (465 miles). 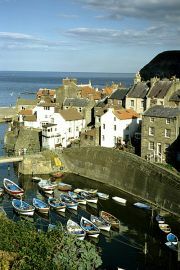 The guidebook is published in full colour, and each of the walking routes is highlighted on OS Landranger mapping. All the routes were researched using public transport. However, it is worth bearing in mind that in recent years the Moorsbus network has been drastically reduced. All the routes in the guidebook were checked again for the latest edition, along with all the services and facilities around the moors, with maps amended and new photographs included wherever significant changes had taken place.